When it comes to classically good looking irons that have a throwback feel to them, few companies put out more than Mizuno. What used to be a choice of blade or cavity back has now grown into several categories of irons with each offering more and more every year. One category that seems tailor made for Mizuno is the “game enhancement” category, or an iron that is normally smaller in overall profile, and is used to assist in shaping shots and offering maximum feedback with each strike of the ball. The iconic MP line of clubs that Mizuno puts out each year fall into this category and the MP-59 and MP-69 are no exception. The MP-59, the next generation of our award winning Ti Muscle™ Technology, delivers full cavity forgiveness in a player’s half cavity design. During the elaborate Grain Flow Forging process, the pure Titanium material is forged into the muscle of the MP-59 to deliver a 5% larger Sweet Area compared to the MP-58, the iron that debuted Ti Muscle Technology. The lightweight characteristics of the pure titanium allows for the ideal amount of thickness behind the impact area to deliver consistent solid feel while simultaneously providing a dramatic increase in perimeter weighting for enhanced playability. 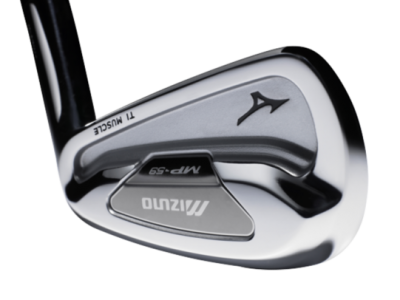 To date, only Mizuno’s patented Grain Flow Forging process can deliver this technological advancement that produces these amazing gains in forgiveness, all within a compact, traditional head shape. Forged Ti Muscle Technology delivers increased forgiveness and solid feel in a player’s head shape. Scientifically designed to optimize sound and feel at impact utilizing modal analysis and Harmonic Impact Technology (H.I.T.). Patented Grain Flow Forged 1025E “Pure Select” mild carbon steel and pure titanium combine to provide the ultimate soft, solid, and consistent feel. The new MP-69, the next iconic Mizuno Muscle Back iron, was created by blending our PGA Tour Staff input with the latest state of the art design and simulation tools. This iron is the perfect balance of Grain Flow Forged feel and unmatched workability. The MP-69 irons feature our newly developed 4D Muscle design. A strategic weighting strategy from 3 iron through PW ensures ideal COG placement in every iron throughout the set to deliver total ball control and a predictable trajectory. 4D Muscle design delivers unmatched ball and trajectory control by maintaining the perfect COG design in each clubhead. Strategically placed trailing edge bevel delivers tour confirmed performance and increased versatility. Patented Grain Flow Forged 1025E “Pure Select” mild carbon steel provides the ultimate soft, solid, and consistent feel. Modified U-grooves, which conform to the condition of competition, produce the ideal spin rate for maximum playability in all conditions. Testing both sets for multiple rounds of golf and countless range sessions two things became clear. First, these truly are an iron that offers a large amount of feedback after each shot and can be “worked” around the course depending on the shot shape one desires. Second, if you are looking for an iron with a high dose of perimeter forgiveness on those shots that you hit out on the toe or high on the club face, these may not work for you. Mizuno lists a handicap range on their website for who they feel will most benefit from a set such as these and they do keep that number pretty low. For the MP-59 set it is up to a 13 index and for the MP-69 set, it is up to a 7. I normally do not put much stock into a handicap deciding what iron one should play, but feel as though after testing these, the Mizuno guide is fairly close if we are basing it on handicap equals ball striking. Not always the case of course, but for a general guideline, THP thinks they are fair numbers. On the course, the Mizuno irons performed beautifully. Both sets offer a penetrating mid ball flight that works extremely well in almost all conditions with the MP-69s flying just a bit lower than that of their slightly more forgiving counterparts. The leading edge of both sets offer just enough roundness as to not come in too sharp and be prone for digging and combine that with the versatility it offers to hit large varieties of shots in any condition. The major differences between the two sets, performance wise, is the amount of feedback found on shots that miss the sweet spot. The MP-59 line offers some perimeter weighting and that overall mass in areas other than the balance point will in fact assist you when your shot strikes the heel or toe as well as higher up on the club face. Both irons had wonderful feel and elegant good looks that seem to stick in your mind and the chrome finish is divine, however, we did get blinded in the FL sun a couple of times with both sets from the sheer shine that these produce. 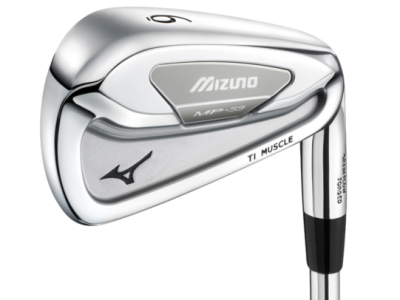 If you are looking for a set of irons with classic good looks than Mizuno might just have the iron for you. Their MP line is nearing iconic status and continues to deliver year after year with irons that offer maximum performance and are aesthetically pleasing. For more information on this or any other product, check out their website at www.mizunousa.com. Can Sheets Help Your Golf Game? Great write up JB. I like the looks of both of these irons, but I am glad that you feel they are actually set for the listed handicap range. Holy cow, both of these are absolutely gorgeous! I have come to realize that I need a bit more forgiveness so I would not fare to well with the 69’s. They make a great looking club, love to see so many options available. Had to scroll back up and stare at the 69’s some more…pure beauties. Great write up and review. I have looked at these clubs before and this was a very informative piece that has educated me even further. Thank you for addressing the handicap recommendation. I like that review Josh, lots of information packed into it. Mizuno has always produced stunning looking clubs and these are no different. Great looking sticks, but sounds like they’re too much club for may (poor) game. I like how you commented on the sun glare, those babies look like they’d be killer in the direct sun. Those are some stunning irons! Love the look they went with on these sits. Great review JB! S300s were used in this review, however Mizuno recommends the shaft optimizer (we do too) to find out which shaft will work best with your swing. Thanks for all the info, JB. I’d love to give those 59’s a swing. I’ve got a set of irons that have hit me with some horrible glare and I always wonder why that isn’t addressed by companies. Great review JB, from what you have written the MP-59’s sound like they would be just right for me. Very classy appearance and on sunny days I’d have my Sun Glasses on when those babies decide to shine in the sun. Mizuno flat out makes some of the best looking clubs out there, and these are no exception. It would be very easy for me to become a full fledged Mizuno homey. I’ve yet to hit one I didn’t like and this company continues to produce some of the best looking products out there. I find these two set’s very appealing with the 59’s possibly in my game range, however the 69’s, even with the 13hc rating, would likely limit my success on the course. Thanks for the info JB, bet this was fun putting through the paces. I really enjoyed this review. I think the MP-59s are possibly some of the prettiest irons I have ever seen. I know they are getting some love on tour and after reading the review it is easy to see why. Great review here! Timed perfectly with the Holiday Cheer contest too! These irons could definately be in somebody’s future, and this review makes them sound great! I hope to swing them at some point for sure! I like the look but these are probably beyond my game. More Mizuno beauties!! They look stunning. Beautiful iron and an awesome review…a bit to much club for me though. Pure Beauty to the eyes for sure !! Nice review JB. I was very intrigued by your thoughts and comments about the handicap ratings the put on them. I especially agree with you regarding ball striking and how it does/doesn’t directly relate to a persons handicap. I personally believe that I strike the ball far better than my current rating. Great review. I have MP 52s and love them. My handicap has been going down the last few years. I am a 9 now. The 59s are calling out to me. Great review on some great looking irons. I can’t wait to hit the MP 59’s. Loved the review JB! I think these are some really nice looking clubs but after hearing the feedback I may refrain from hitting these for a little bit. I need that forgiveness! Good review JB. I’ve always wanted to find a set of Mizuno’s that I could feel really good about. Both of these have the look that I’ve always preferred. Maybe I’ll get to try them out somewhere this winter. Beautiful set of irons. I’ve never hit Mizuno’s before and looked at their entire line at the golf shop yesterday. I know they use “grain flow forging”, but I don’t know how that is different from other kinds of forging as to feel. Personally though I’ve never been a big fan of chrome. It would be nice if these had a satin finish. I have purchased a set of Mizuno MP59’s. I play to a 10ish handicap. I just love them. I have a set of Titleist ap2’s and in a year have just not really gotten along with them. Very up and down scores with lots of driving range hours. Used the new Mizuno irons at the range for a few hours then had them adjusted down 2. Went back to the range and in an hour felt very comfortable with them. These clubs are Nippion 950 stiff shafts. Shot a 78 in the mens league the other day. Love the consistency off the face and ability to hit the high draw as well as the knockdown. Used to play Taylor Made irons and the MP59 presents not only a softer feel, but much better ball speed consistency and playability. I can dial in yardages. I paired the iron with KBS Tour C-Tapers. Wish Mizuno fitting cart offered more shaft options. Buying shafts separate is costly. the mizuno shot optimizer said my swing speed is a 89 and should use PX 6.0 or X-100. then when i went to roger dunn and took swings,the computer stated my swing speed to be 81-82. which means i should be playing the PX 5.5s. if you know anything about the little meter that mizuno uses, and how accurate, i would greatly appreciate it!!! thank you and GET IN THE HOLE~~~! Purchased the MP59’s a couple of weeks ago……I absolutely love them. Great looking and great feel. I highly recommend them. I USED to be a Callaway guy….no more! I’m Mizuno iron guy. I bought my first set of Mizunos about 5 years ago and they’ve been great. I thinking about upgrading and hit the 69s in the store yesterday and found a new love. I’m pretty pumped about the prospect of buying these clubs. Little nervous about hitting a blade though. I play to a 4-5 hcp. I just ordered a set of MP59 3-6 irons and MP69 7-pw. I was fit for these clubs with the shaft the is best for me PX 5.0 115g ( I’m 50 yrs young too) . My old set Titleist 735 cms had DG S300 135g shafts. I asked a Mizuno rep if this set up was possible. If fact he says some pros play the same configuration. Order time is 7-10 days. Can’t wait to play them. Hitting blades are not for everyone. However, if your ability does so.. buy them.. they are the purest form of satisfaction you will ever feel. 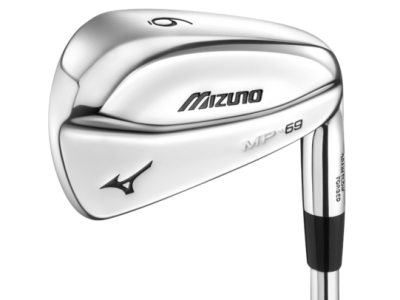 I bought Mizuno MX20s back in 2002 (have loved those and still use them) and i’m ready for new irons…..almost bought the MP53s last year, but now i think i’m gonna go for the MP59s…. I hit a MP 59 6 iron at golf galaxy with the PX5.5 shaft on it and it was like butter…. I had a very tight dispersion and much longer than my old clubs. It is alot of money but i think it will be worth it. 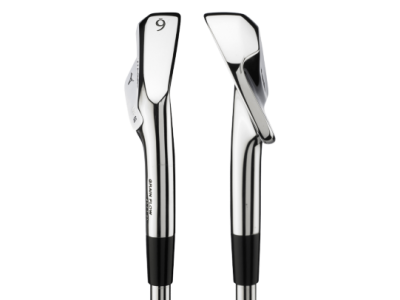 I wish i could test them with the KBS Tour C-Tapers, but not a factory option, so not on the fitting cart…. I have bought these bad boys, the wait is killing me. Got fitted with the PX 6.5 and wow how it change my results from my old clubs with reg flex…. I borrowed mx23 from Freind some years ago. Loved them. In market to buy clubs now. Can anyone recommend the best current model. I’m 15 handicap when I last played a few years ago. thanks. John. I am looking at get some Mizuno irons. Not sure which way to go I am off at 10 handicap. At the moment I have 2009 Callaway forged irons. Can you point me in the right direction. i am fortunate enough to own both of these sets and both with the s300 shafts. i find the distances are not a difference and the trajectories are not a difference. the only difference i can find is workability of the irons. the 59s are a lot harder to fade than the 69s. i can hook both with ease enough to get out of any tree or wind trouble. fading is another story. with the 69s, i can fade them with ease. with the 59s they have to be drastically outside/ined to get the wanted fade. funny thing is i play these 59s because they are a little more forgiving and they don’t get me into trouble. there are times when i will pull out the 69s and play them. they are so close, i have faith in both and don’t care which set is in the bag. I live in Morocco (Australian but live here) and you just cannot buy good golf equipment here. I was in Ireland in November and determined to buy a set of muscle backs as where I play is very windy and I wanted that penetrating flight. I wanted a set of Titleist Mbs 712s but they were not available where I was so I bought the MP69s with the DG S300 shafts. The lack of offset is tough to get used to especially on the long irons. Like any muscleback, hitting it thin or off centre hurts, though not so much in distance as other musclebacks. I stuck at it and these clubs have forced me to get better. Yes I had to change my swing, (took me a while to figure out that my swing was not good enough for these clubs) but after a while I figured out a few things about these clubs. 8 – I am improving and hitting shots I just cant believe that I could it.